Through sales and marketing in developing countries, we found that exposure to smoke from traditional cooking stoves in developing countries causes 4 million premature deaths annually worldwide (reported by Global Alliance for Clean Cookstoves). Approximately 1.5 billion people live without electricity and nearly 3 billion people live with the primary means of cooking and heating such as using wood, cow dung in the world. 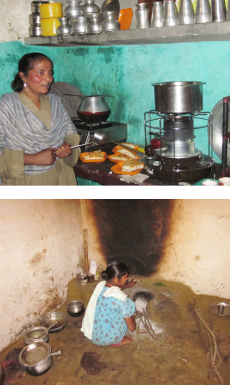 In 2011, we donated our cooking stoves model K-30F to different communities in Srinagar and Mumbai, India and South Africa etc. We were given some feedback that the users were able to cook without any problems or fire related risks and save time. AID and malaria are widely known as the main external death factor in the developing countries. Respiratory illness by using unreliable, obsolete, even dangerous cooking equipment is also recognized as the subsequent death factor. 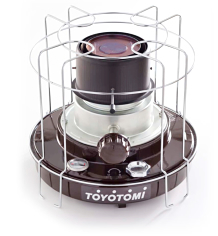 Toyotomi aims to spread beneficial products that are affordable for people in developing countries and support improvement of their lifestyle with the high quality of our kerosene cooking stoves as a basis of a constant technical development over the last 60 years.